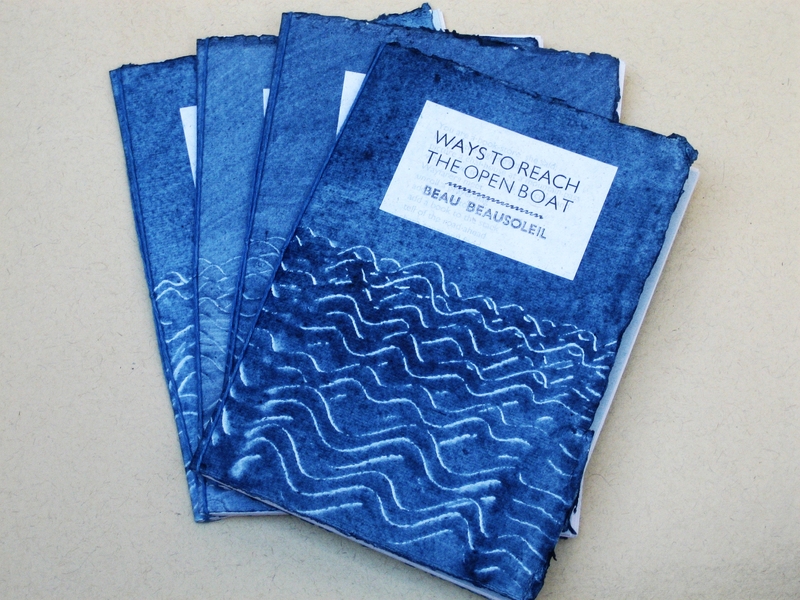 A new chapbook from San Francisco poet Beau Beausoleil. Thirty new poems are printed on ‘Metaphor’ recycled paper and hand-bound. The cover photo is by Carolyne Charrington. Edition of 200, July 2016. 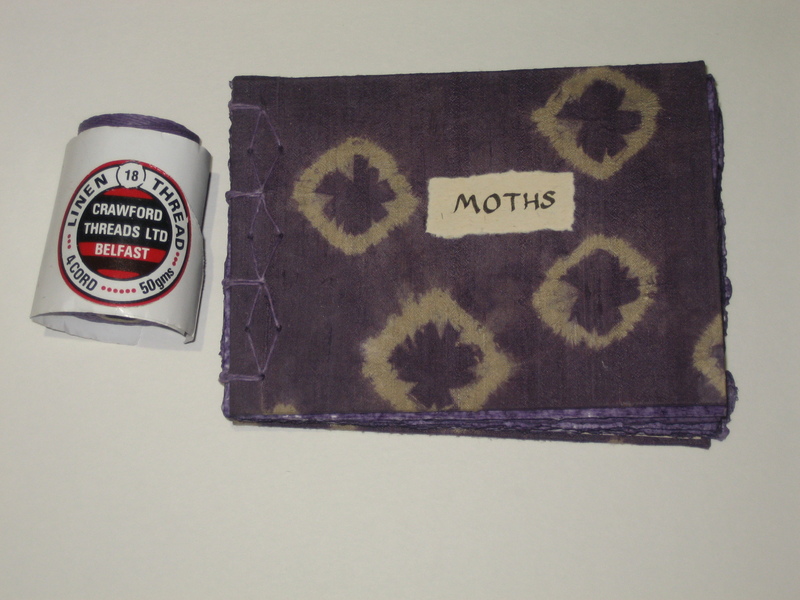 These three small books were made for the exhibition “Holyest Erth” at Glastonbury Abbey in the springtime of 2013. All three texts are poems inspired both by the Abbey and its history and by my e-correspondence with Beau. They are entirely hand-written and hand-painted and/or collaged. All are constructed using variations on Coptic sewing. The edition size is 26, on a scribe-on-demand basis. 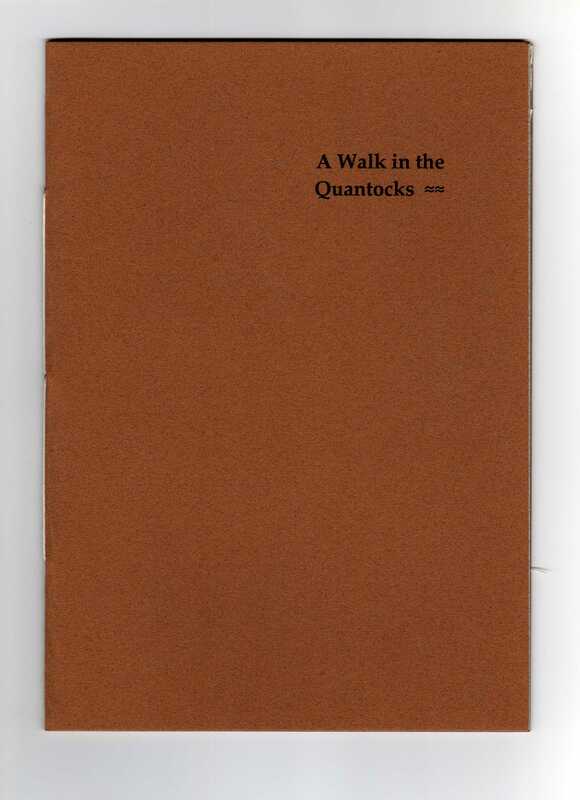 This A5 chapbook of poems by Beau Beausoleil is the project that occupied me for much of 2012. With the exception of paper-supply problems, kindly solved by the Exotic Paper Company, the whole process was a joy. Beau is such an inspiring partner to work with. The edition size is 200. The Pebble in my Pocket. I used to be a felt-maker. I have always been a picker-up of pebbles. This is a felt pebble containing a short poem. I made two for Christmas presents and one to keep. 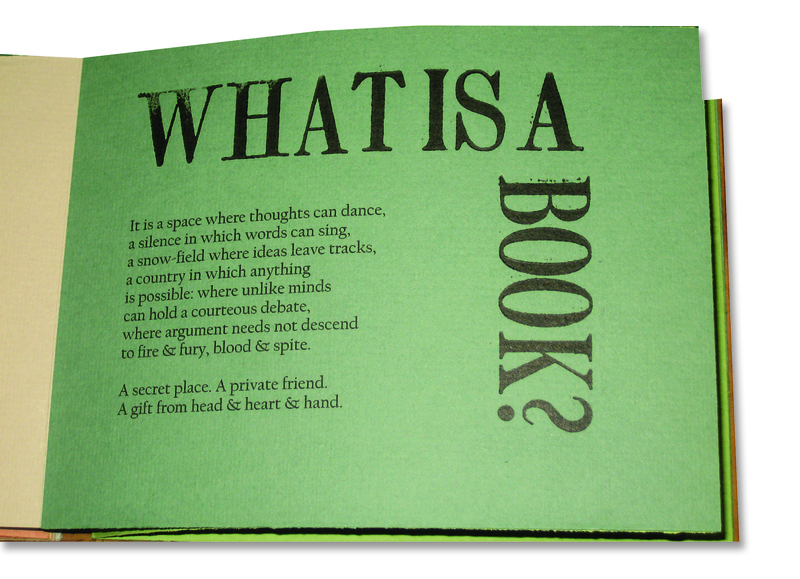 What is a Book? Poems for Al-Mutanabbi Street. This was my big project for 2010-11: a response to the Al-Mutanabbi Street Coalition’s call to book artists to “re-assemble” some of the “inventory” of the reading material that was lost in the car bombing of al-Mutanabbi Street, the heart of the literary quarter of Baghdad, on 5 March 2007 – an attack on thought and ideas as much as on the 130 people who were killed or injured. One copy of this book is in the Library of Alexandria, another is in the Jaffé Collection at Florida Atlantic University, two are in touring exhibitions and one is due to be donated to the Iraq National Library and Archive in Baghdad. Text inkjet-printed and titles letterpress-printed from wooden type on Lana Colours paper. 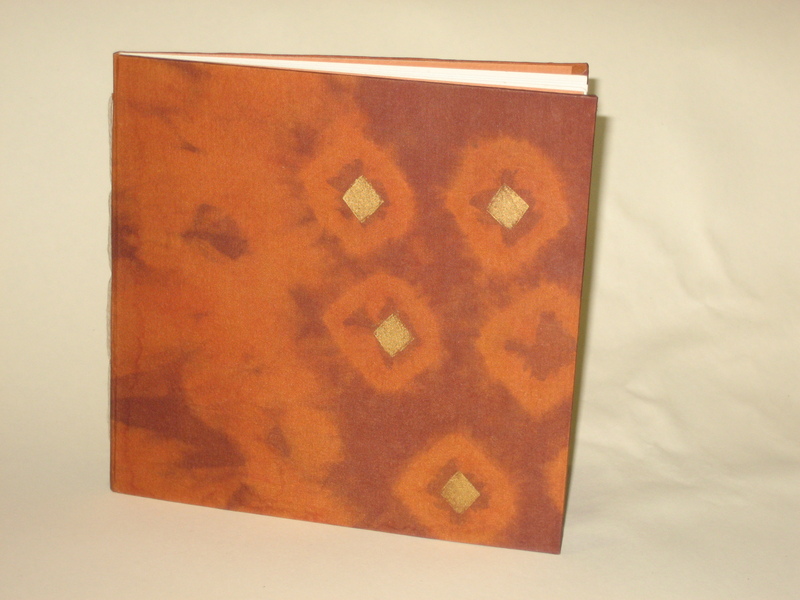 18-page flutter-book with pomegranate-dyed book-cloth covers. 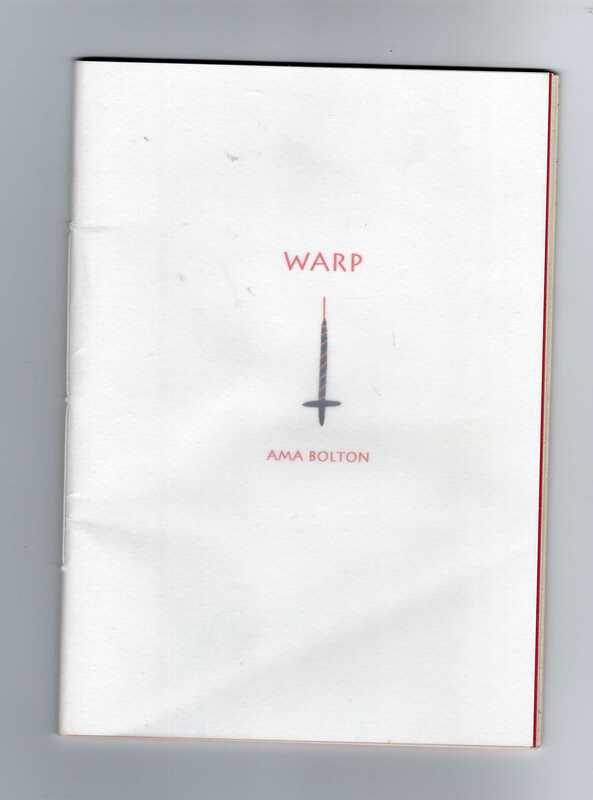 Title stitched on cover. 15x19cm. Edition of 26 A-Z, non-identical, 2011. All profits sent to Medecins Sans Frontiers. Copies T, U, W, X, Y and Z are still available at £25 each. 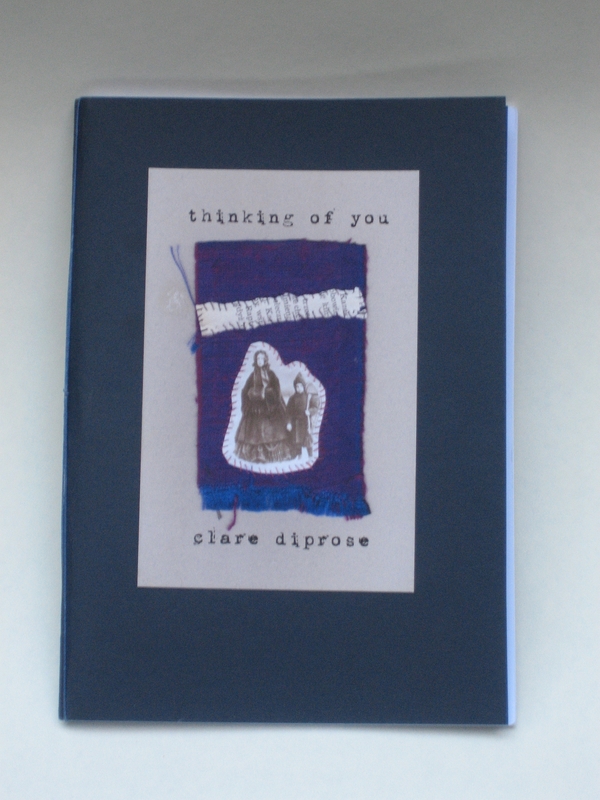 Below: Thinking of You: poems by Bridport Prize runner-up Clare Diprose. Designed by barleybooks, printed by St Andrews Press in Wells, hand-bound as an A5 pamphlet with “Island” binding (knotted cord with no stitching). 40 pages, 29 poems, 13 illustrations. 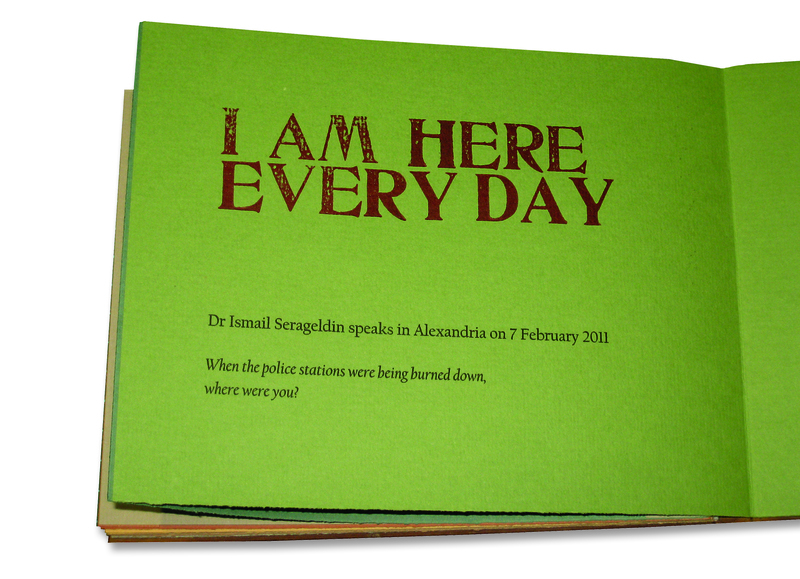 Edition of 100, made in 2010. 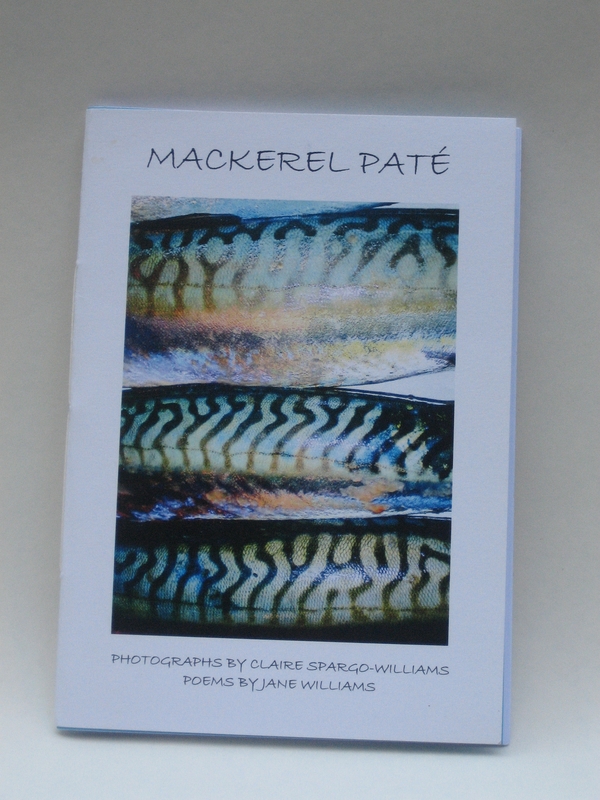 Below: Mackerel Pate: photographs by Claire Spargo-Williams and poems by Jane Williams. Designed and edited by barleybooks, printed by St Andrews Press, hand-stitched. 32 pages, 14 photographs, 13 poems. Edition of 100, made in 2010. Below: Four Pips, a long poem about Persephone and the pomegranate, printed on Elliepoo paper and pamphlet-stitched into a hard cover. The book-cloth was made from silk dyed with pomegranate, madder and logwood and embellished with gilding paste through a stencil. 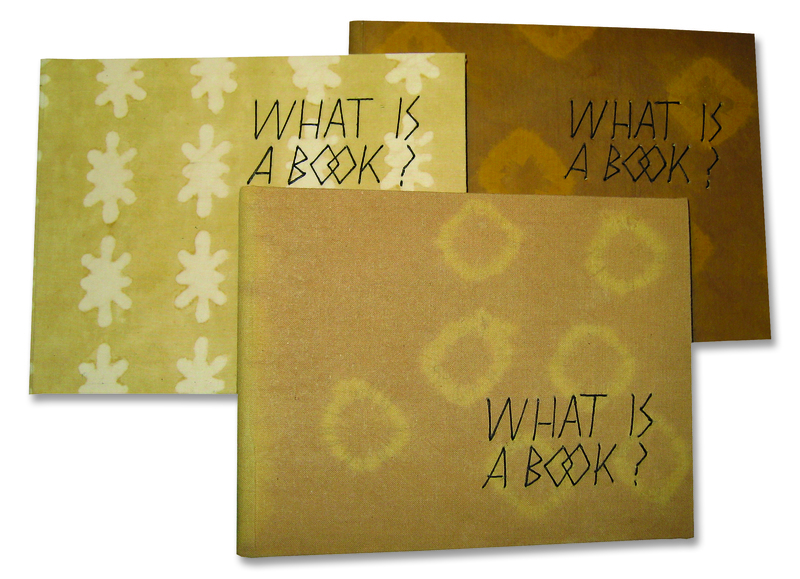 The book is 15cm square and was made in an edition of 20 for an exhibition called “Pomegranate” in Glastonbury Abbey in 2010. 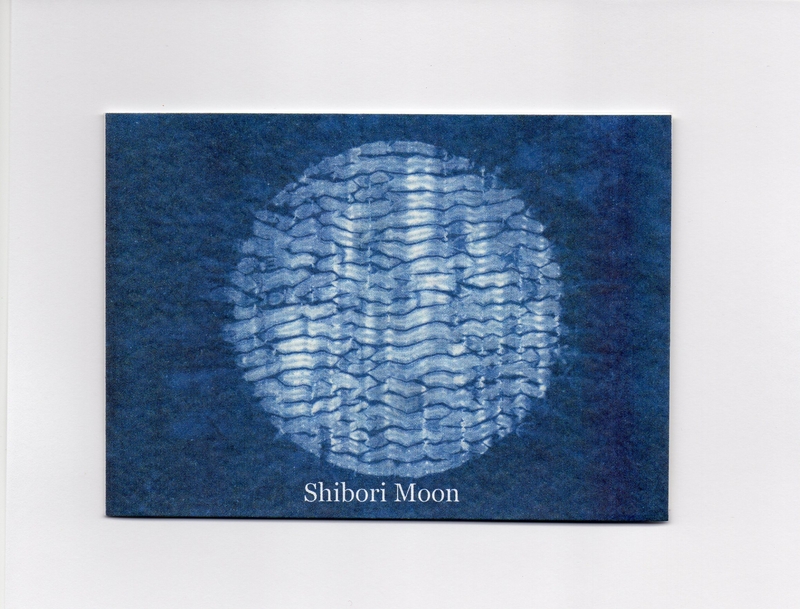 Below: Shibori Moon, a six-page A6 flutter-book. The text, a sonnet describing a few minutes of the process of indigo vat-dyeing to achieve the pattern reproduced on the cover, is printed on pale-blue “hair” paper. The book was made for BLUE, a Somerset Art Weeks exhibition in Frome in 2009. Edition of 100. 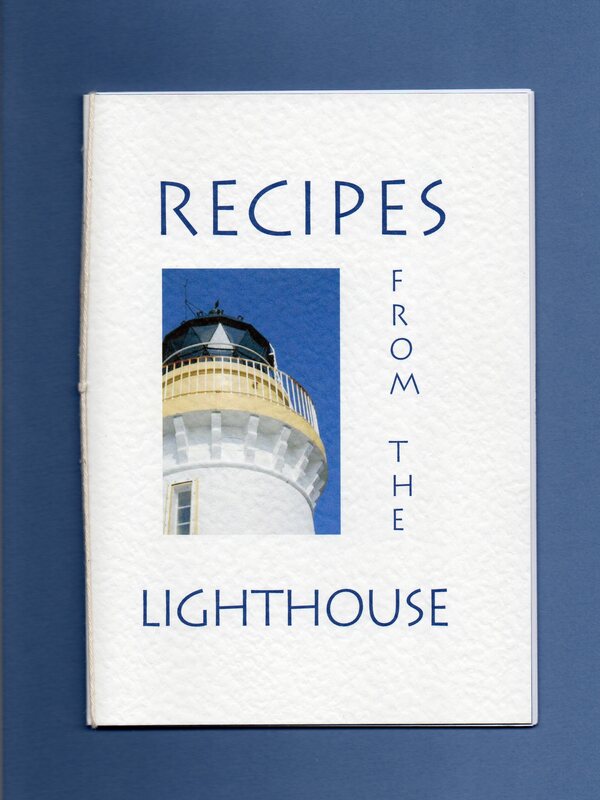 Below: Recipes from the Lighthouse: A4 Island-bound booklet made for the participants in Rachel Hazell’s 2009 Bookbinding workshop at Bressay Lighthouse. Edition of 12. 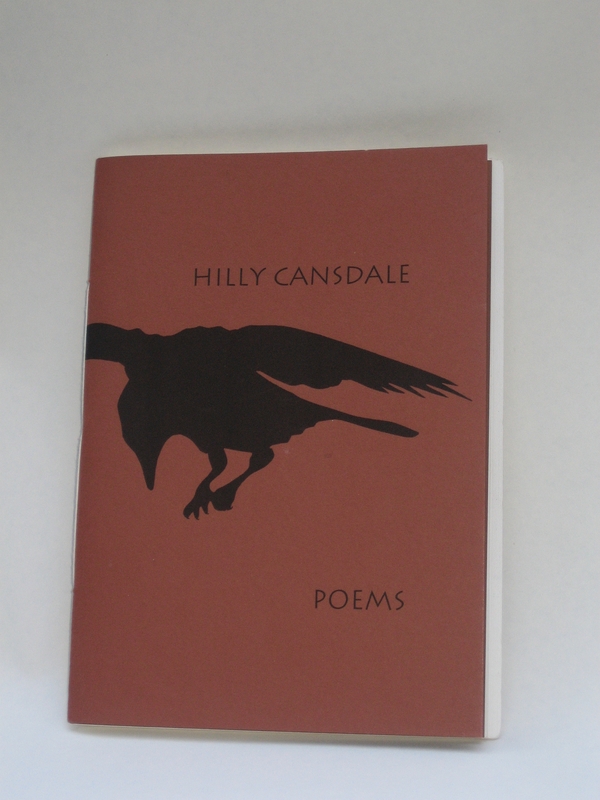 Below: Hilly Cansdale Poems. 48 pages, 36 poems. Designed and edited by barleybooks, printed by St Andrews Press, hand-stitched. Open edition, 2009. 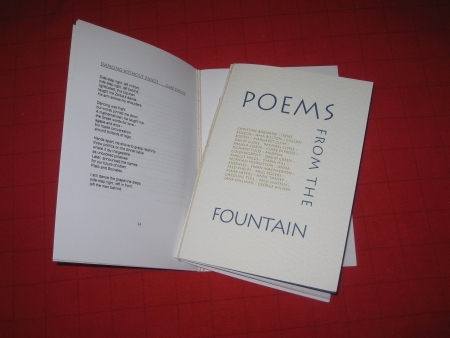 Below: Poems from the Fountain, an anthology for the Fountain Poets of Wells, designed and edited by barleybooks, printed by St Andrews Press, hand-bound as a simple A5 pamphlet with “Island” binding (knotted cord with no stitching). 25 poems, 44 pages. Blue fly-leaves. Edition of 60, made in 2008. 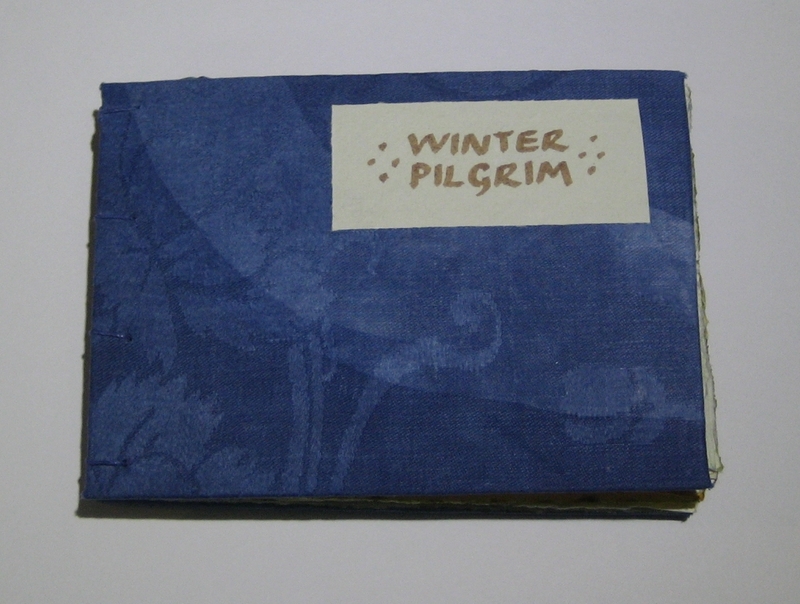 Below: Winter Wedding, a six-pageA6 flutter-book commissioned by Jane Williams to commemorate her grandson’s wedding. 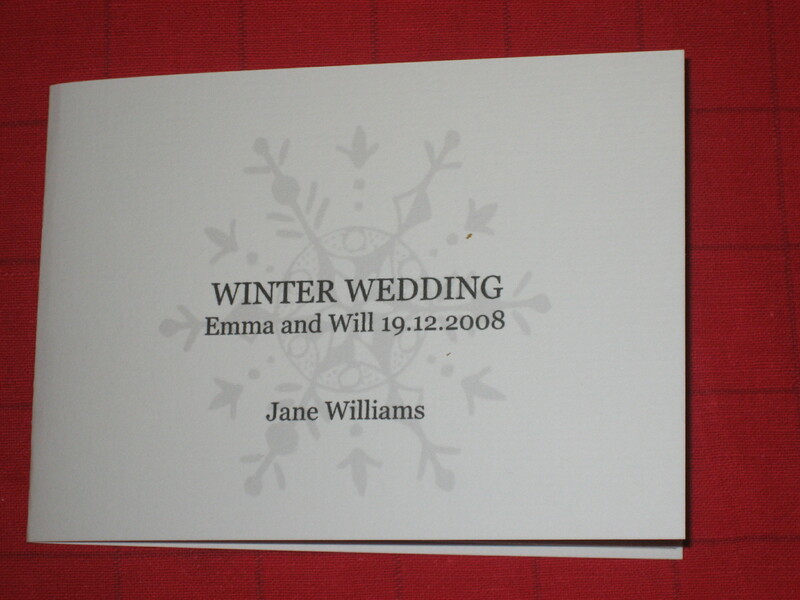 Jane’s poem is printed over a snowflake image on six A6 pages of Elliepoo paper, with a textured card cover. Edition of eight, December 2008. 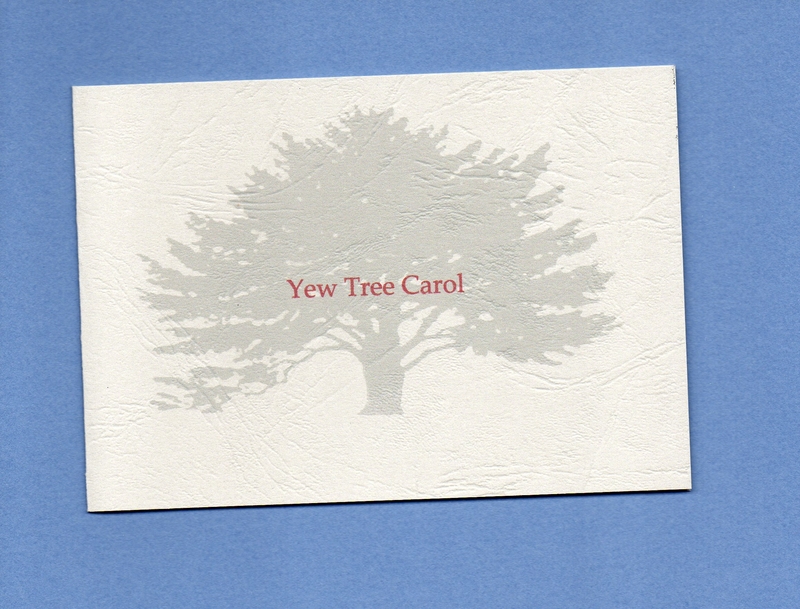 Below: Yew Tree Carol, a 4-page A6 flutter-book made as a Christmas card for 2008. The text is printed over a yew tree image on Elliepoo paper. Open edition. Below: Alphabet for Lovers. 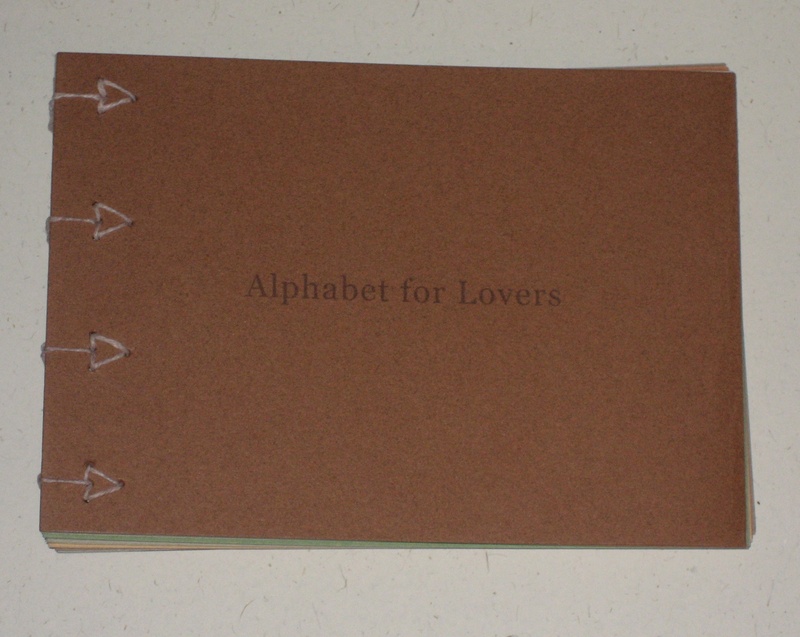 A6 Coptic-sewn book printed on Lana papers and sewn with unbleached Irish linen thread. The initials were made by gluing white paper shapes to black card. These were scanned and reduced and given colours to match the coloured text. An experiment that worked! I had a lot of help from book designer James Shurmer with the typography and layout. Thanks Jim! Edition of 26, lettered A-Z. 2008. 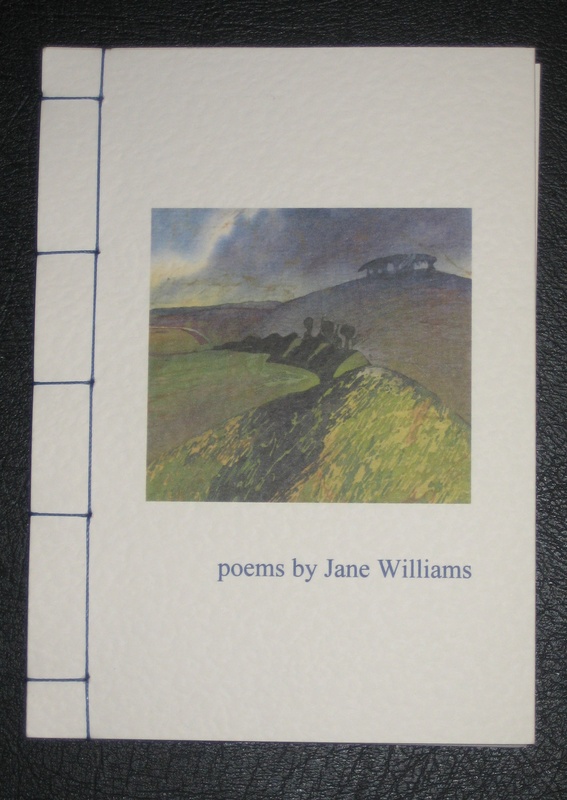 Below: Poems by Jane Williams. Commissioned by Kate Rossetti Hughes and completed in May 2008. 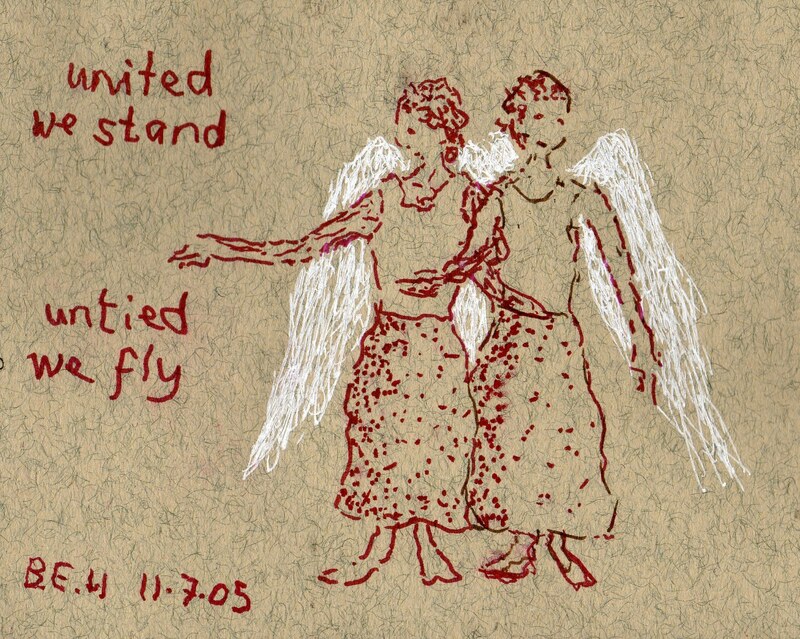 49 poems with 4 illustrations by Jenny Sanders. 80 A4 pages. Indigo blue text on Elliepoo paper, blue fly-leaves. Japanese stab-binding. 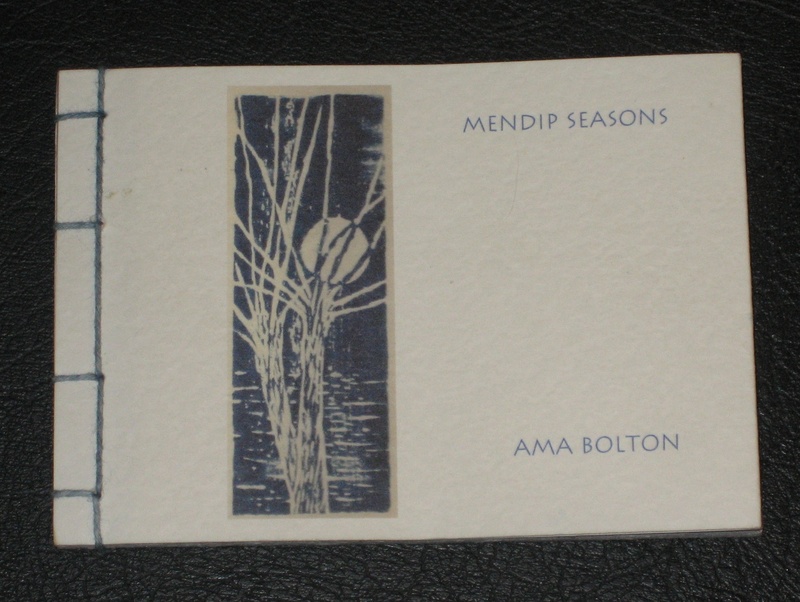 Below: Mendip Seasons: A6 book of Haiku printed in indigo-blue on Elliepoo paper. The font is Lithos Light. Blue flyleaves. Japanese 4-hole stab binding, stitched with hand-dyed indigo cotton yarn. Reproduction of a woodcut of mine on the cover. 20 pages printed one side only. Edition of 100, 2007. Below: Star Turn at Westhay. 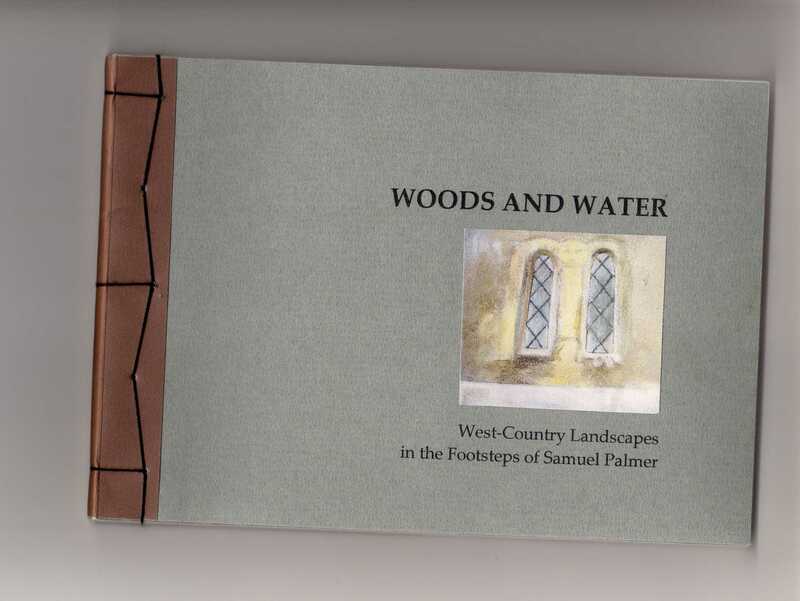 This palm-leaf-type book was made for an exhibition at Glastonbury Rural Life Museum in 2007. It celebrates the winter displays by the flocks of innumerable starlings in the Westhay/Shapwick Heath area of Somerset – once seen, never forgotten. The text is printed in Lithos Light on watercolour-painted Indian rag-paper. 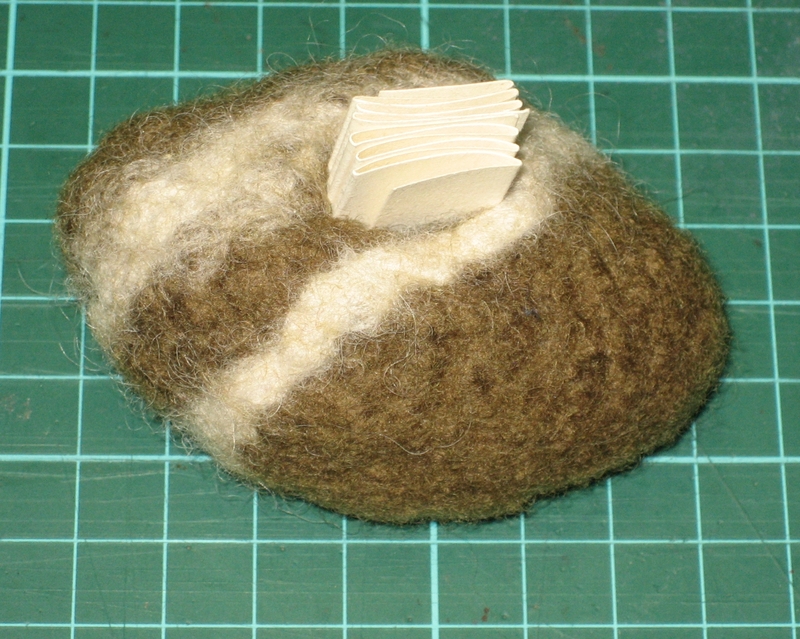 The book is folded in a handmade box. Size: closed 20 x 7.5 x 1.5, open 20 x 54cm. Edition of five, non-identical. 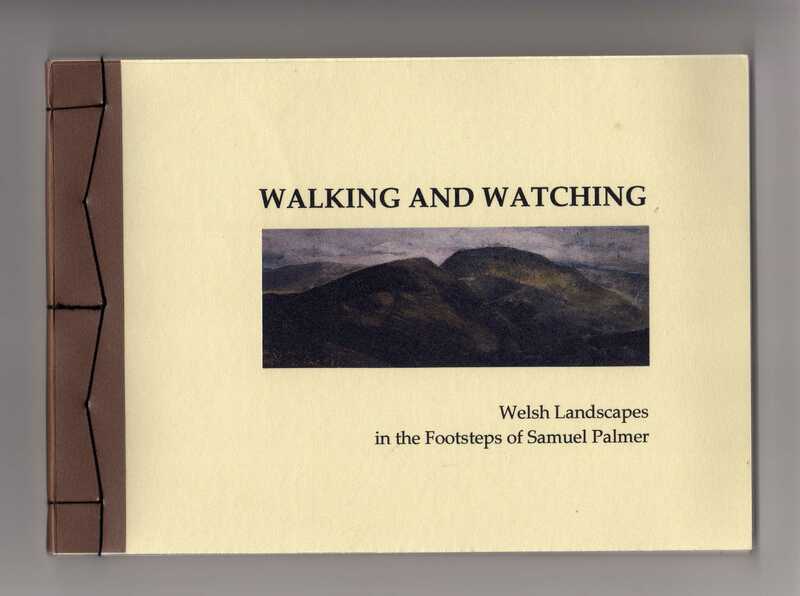 Below: Walking and Watching and Woods and Water. These two books were made to accompany an exhibition of paintings by Judith Yarrow to mark the bicentenary of the birth of Samuel Palmer (1805-1881). They contain reproductions of Judith’s paintings and essays by Shirley Toulson. Both A5 stab-bound books were made in an edition of 25 in 2005, and have since been commercially printed perfect-bound in editions of 500. Below: Warp, written in October 2006, during and after a performance of Julian Grant and Hattie Naylor’s Odysseus Unwound by Tete a Tete opera company, Croma Chamber Ensemble and five Shetland spinners and knitters, in the decayed magnificence of the Alexandra Palace Theatre. Eleven poems and two decorations. Red flyleaves. Translucent protective cover. Pamphlet-sewn A5 booklet printed on Elliepoo paper. Edition of 100, 2006. Seven poems, ten left-handed drawings and a photograph. A5 pamphlet-sewn booklet with red flyleaves in an Indian rag-paper cover. Edition of 100, 2005. Below: A Walk in the Quantocks. 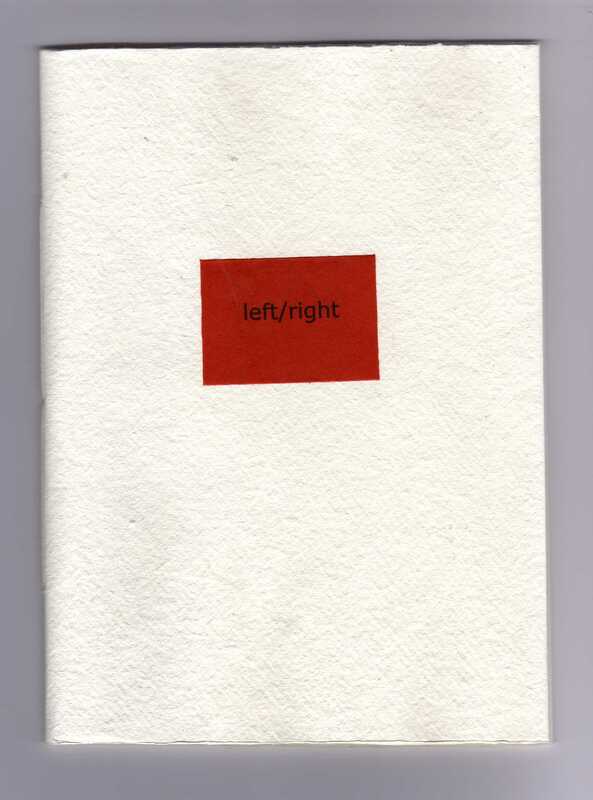 A5 eight-page pamphlet-sewn booklet. Two poems and two photographs printed on Elliepoo paper. Coloured flyleaves. Edition of 100, 2005. Below: The Three Princesses and the Golden Goose. 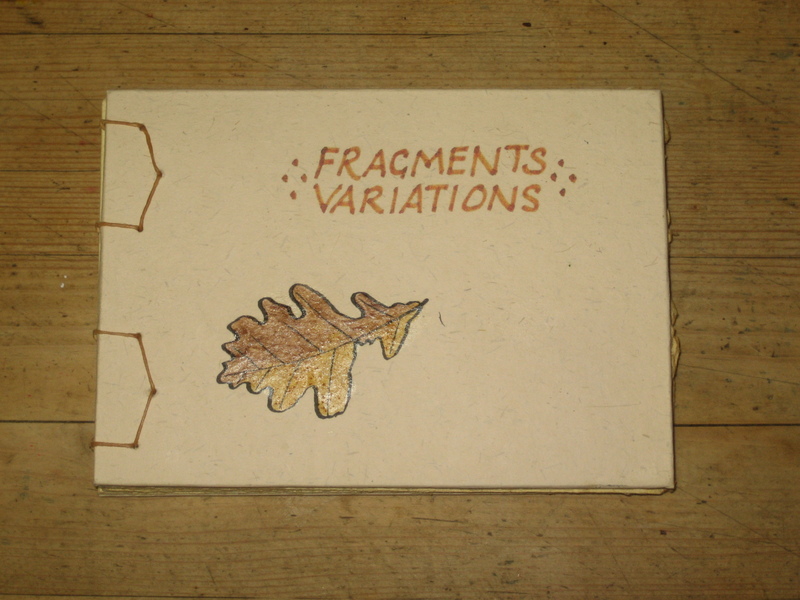 A5 booklet, stab-binding, edition of 100. 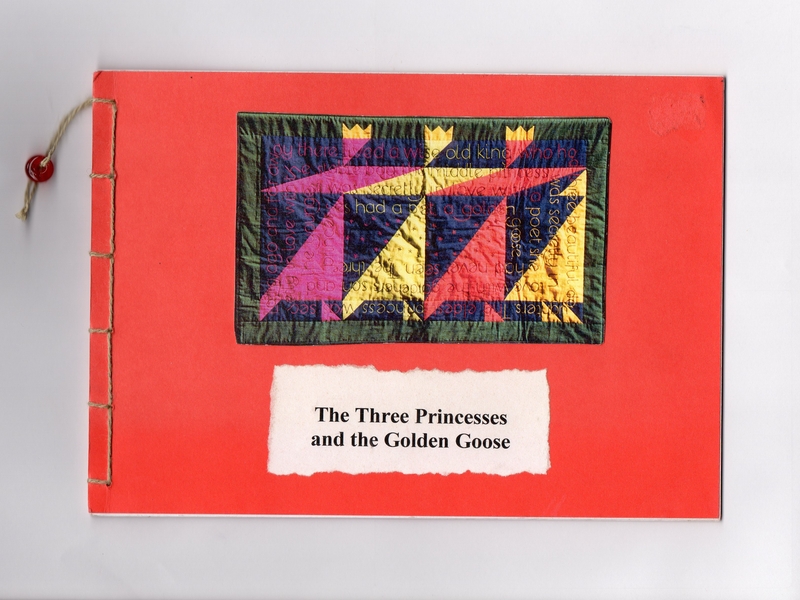 A doodle led to a quilt, which led to a title, which led to a story, which led to a book. It was my first quilt and my first editioned book. Both were made for a touring exhibition, “Jubilation”, to mark the Queen’s golden jubilee in 2002. I’ve just spent half an hour looking at your websites, blinded by both the bright lights – yours and the computer’s. I see I have eight of these books and one other not listed, not made for me, but could have been, but given to me for my birthday. It is in every way perfect – and you didn’t even know that B for Billericay featured large in my childhood. Thank you for so much treasure. Beau has just given me one of your beautiful editions of his poetry; it is such a wonderful object. I’m immensely grateful to him and the Al-Mutanabbi Street project for introducing me to the lovely world of book art, including yours. Thanks for dropping in, Sarah. It was good to meet you on Friday, and to spend a couple of hours browsing your thoughtful, courageous and articulate blog last night.